The transducer provides average root-mean-square (RMS) measurement for sinusoidal alternating voltage waveforms, with an accuracy of 0.5% full scale (FS) and a response time of 300 ms or shorter. Mounting options include DIN rail or panel. 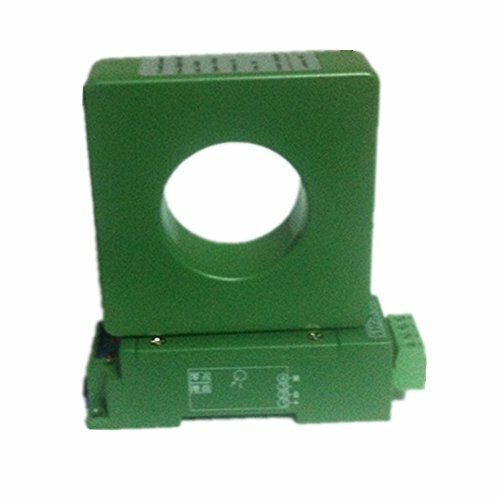 It is suitable for monitoring linear, constant-speed loads that produce sinusoidal waveforms. 1.24 MONTHS QUALITY guarantee. Warranty : In the process of Exchanging products Buyer shoud bear freight of return shipping, while Manufactuer should bear freight of sending. 2.Buyer can return products and get FULL REFUND of item value within 30 days after receiving , if there's any quality problem in original products; Freight of return should be beard by manufacturer. If you have any questions about this product by Loulensy, contact us by completing and submitting the form below. If you are looking for a specif part number, please include it with your message.